I love eggplants. Whenever I go to an oriental store I would always buy some. Next time I have eggplants, I'll try your recipe. 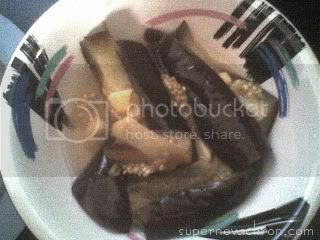 I like eggplants but never tried your recipe. I may get some eggplants in the market later and try to do this one...thanks for sharing..
haven't tried boiled, sis....i always prefer fried. yummy! Gorgeous Mum: Thanks for the visit.